Multi-colored Swarovski crystals, colorful rainbow beads, and sterling silver Bali beads add to the fun in this Small Fun Glass medical ID bracelet. 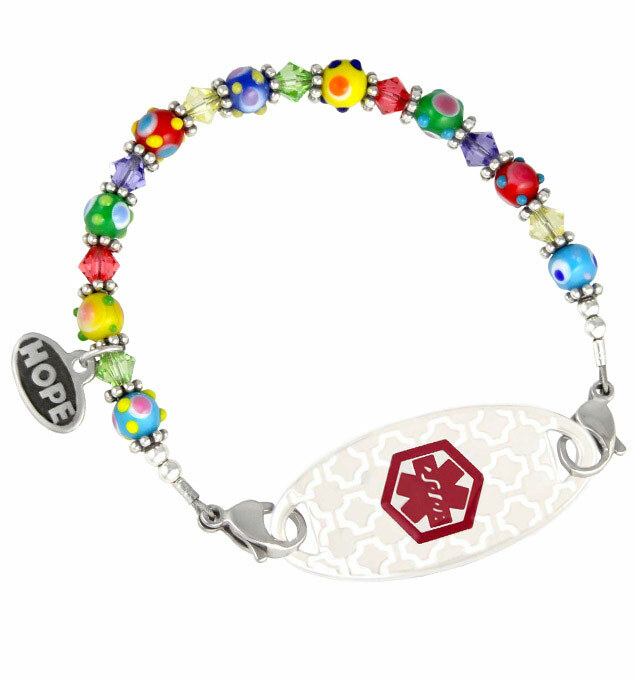 Pair this cheery medical ID bracelet with your custom-engraved Lauren's Hope medical ID tag to complete the look. This bracelet is suitable for everyday use including hand washing and bathing.